Do you love multitasking? Do you want to enable multitasking software for your projects? Do you know multitasking software is available at FLAT 20% OFF? Read more: Clarifying priorities, ETS brings to you its online project management software which plays seamless accountability and collaboration. Other than meeting your ultimate needs, professional online project management software can schedule multi-projects and enables time management features. Enabling easier – faster – efficient planning, you can perform better for your projects. You can communicate with your team regarding the latest project reports in real time platforms. Available with an in-built Gantt chart – you can visualize your plan which can keep you updated with the latest propositions. Enabling this tool in your business can redefine your existence, ensuring a boost in your organizational output. 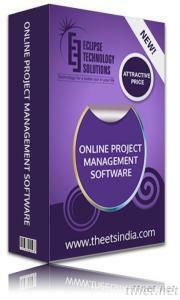 Avail our online project management software at FLAT 20% OFF – get hold of our seasonal offer before stock ends.